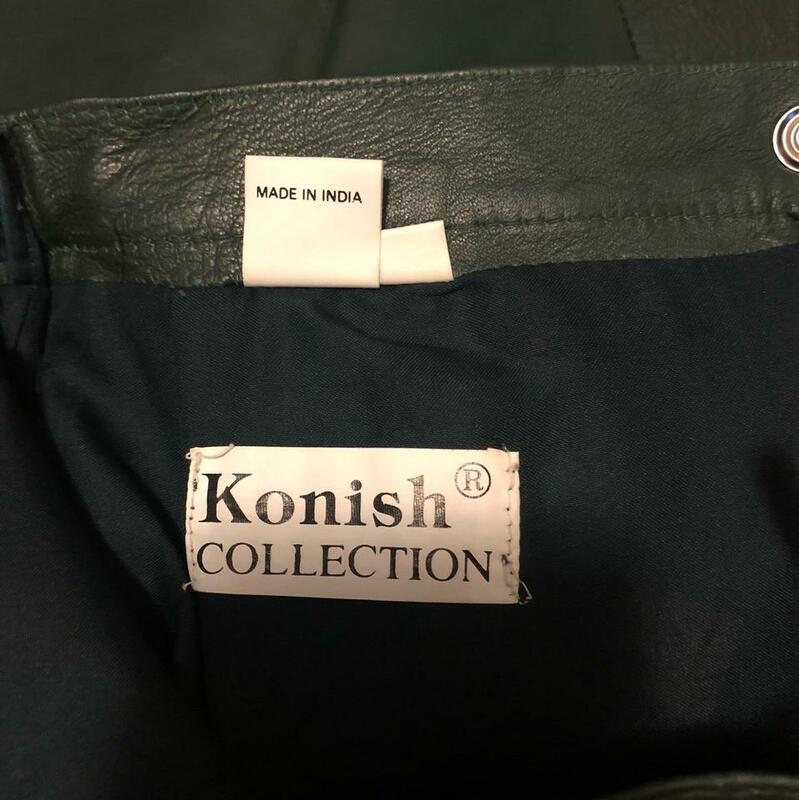 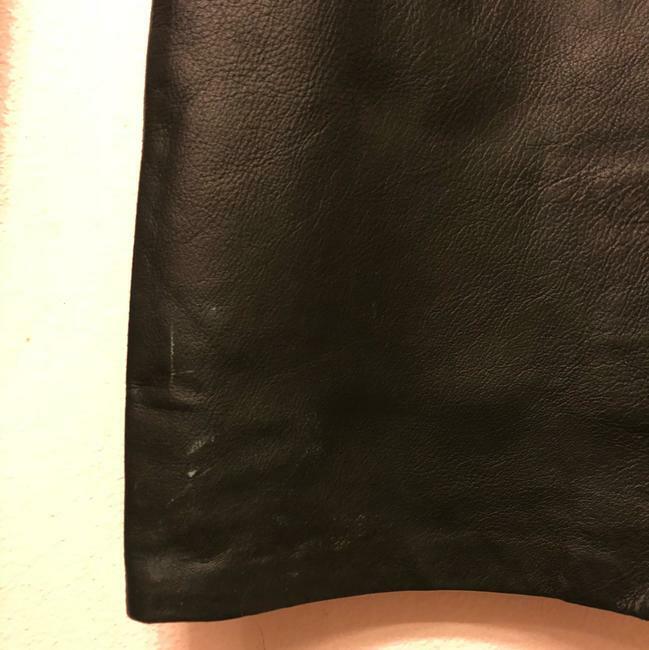 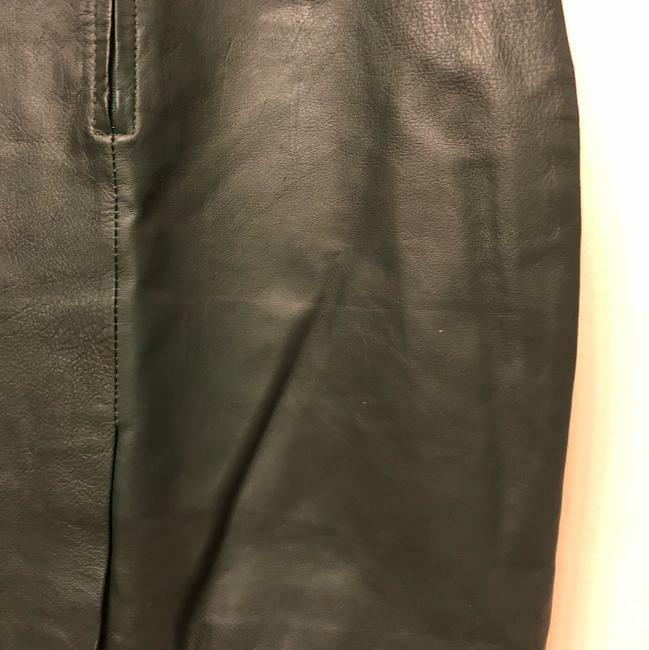 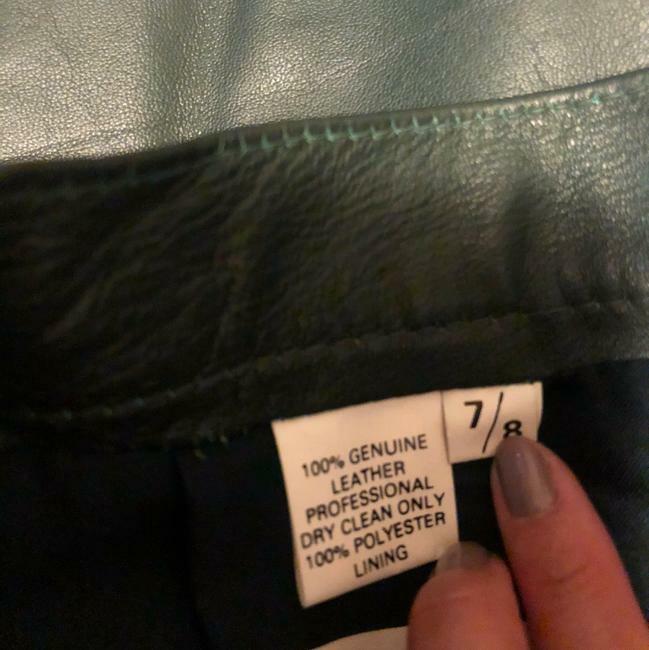 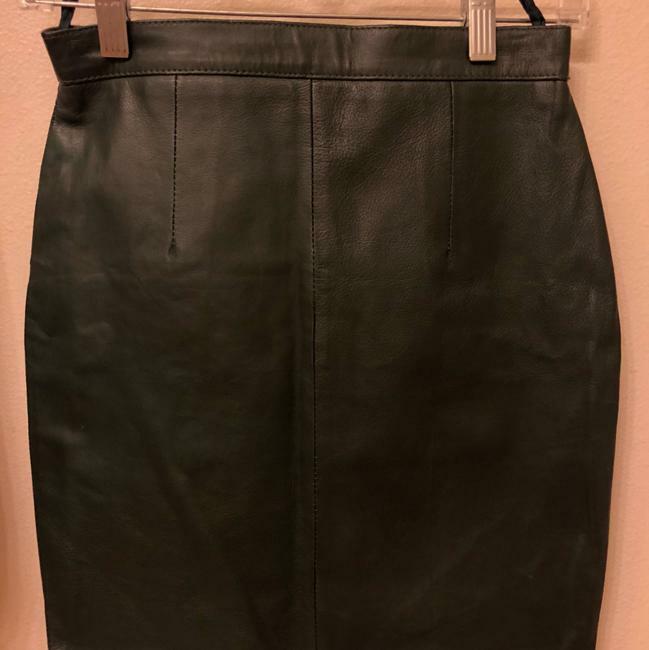 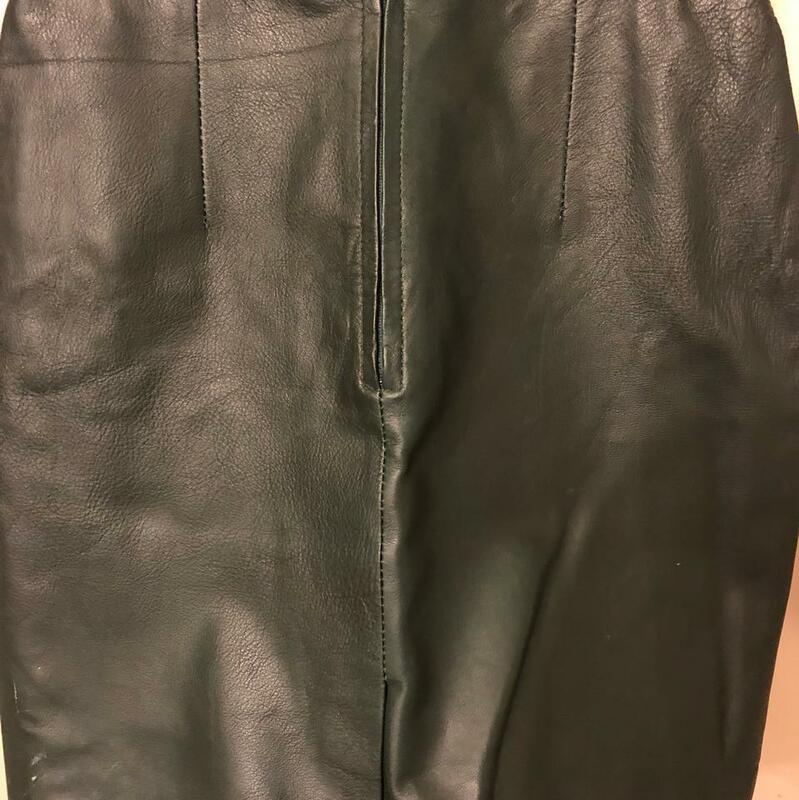 this skirt is new with a tag (not from the brand) with some scuff marks on the leather at the bottom. 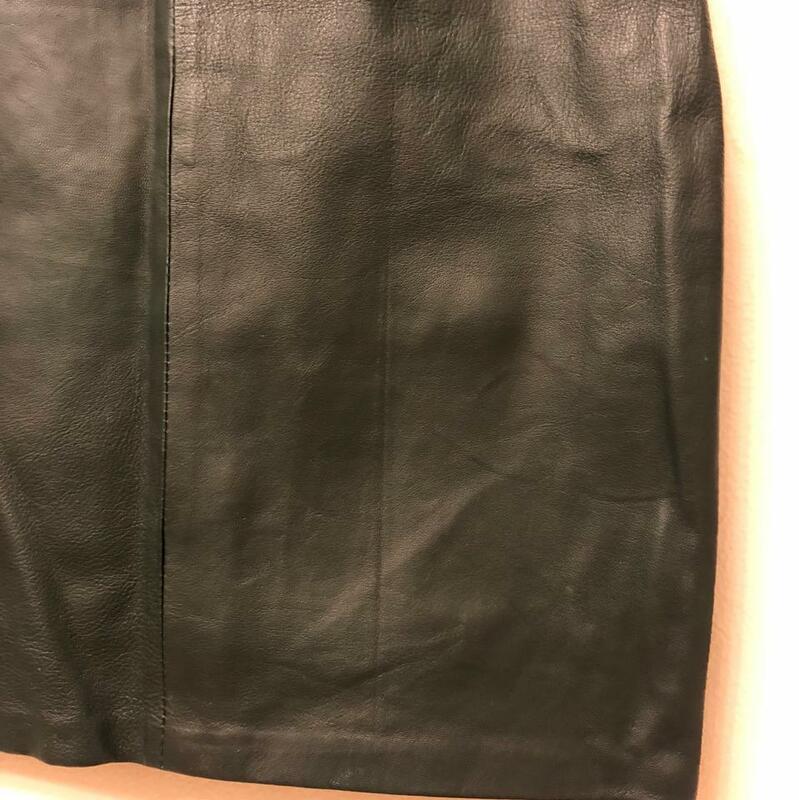 this isn't really visible when it's worn. 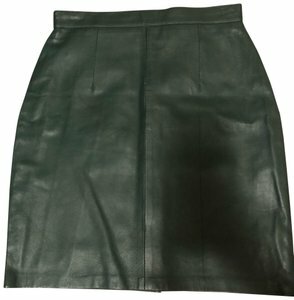 100% leather with 100% polyester lining. 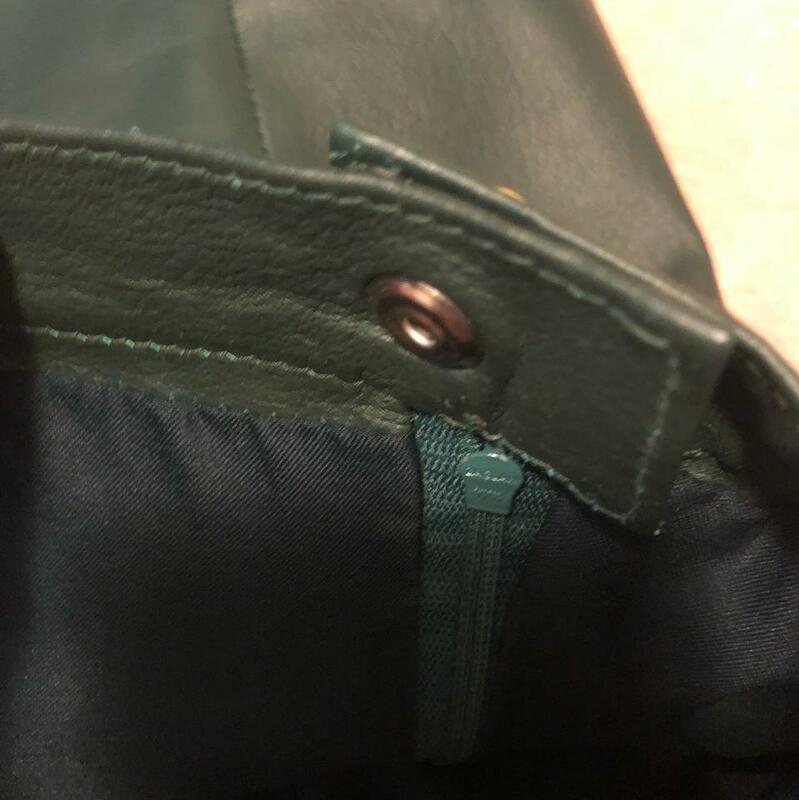 zips close with snap closure. hanger loops on sides.